MDC Alliance official Discent Collins Bajila has claimed that the rate of exchange of US$ to Bank transfer in Zimbabwe has reached +100%. He said this means that if one have US$100 hard cash and looking for someone who can transfer it to his bank account, the least they must transfer to his account is $200. "Bond Cash is at +75% today. 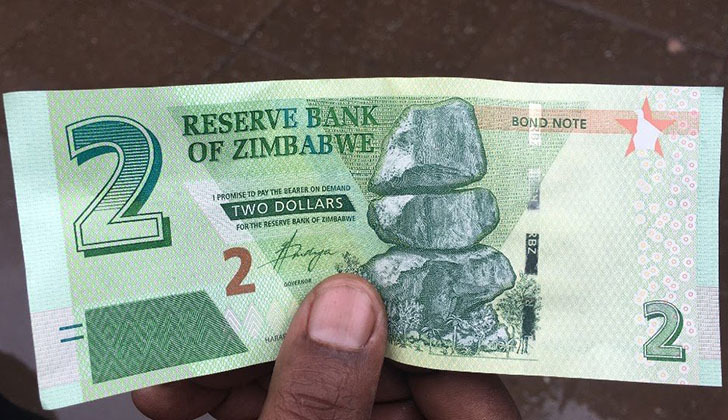 This means that if you have US$100 and you want to convert it to Bond Note, the least you must get in the informal currency markets is $175 bond notes. This is basically how the markets have reacted to both the new cabinet and the and the State of the Nation Address by former Chirumanzu Zibagwe MP Mr Emmerson Mnangagwa," he claimed. "The cruel thing about the economy is that it doesn't rely on Constitutional Court rulings or quasi-military interventions. I foresee talks, reshuffles, amendments and several other post bravado actions coming. However, whatever COSLEGers decide, auctioning our natural resources to China should never be tolerated." "We are headed for harsh economic moments. What is more troublesome is that the men in charge believe in so much in "force interventions " for every crisis."